Weekend for two in the mysterious hotel-castle can impress you the most to get deep into your heart. All you need is choosing the right place to go. There is nothing better than spending weekend you’re your partner. The ancient hotel-castle boasts its many-years history, showy landscapes, late dinner at the fireplace. Here is the list of the most amazing places for your romantic weekend. 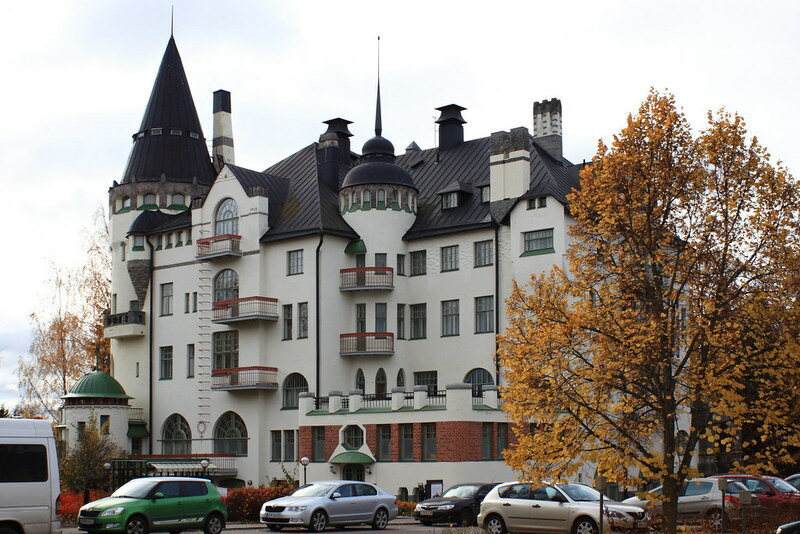 You can get that place by bus or excursion bus from Helsinki. It is difficult to say what attracts you the most: fairy modern interiors or SPA complex to spend the whole day there. The morning in the Valtionhotelli starts with the breakfast on a sunny terrace. Then, you may take Spa procedures or have a walk in the forest along the Marble Canyon. You may have dinner in the elegant restaurant. Of course, the most impressive moment in the hotel is SPA procedures. You are offered to visit three kinds of sauna, swimming pool, hydro massage bathes with the park view, massage cabinet services. By the way, SPA procedures are free for the hotel guests. You can get there by train from Frankfurt or Dusseldorf. The castle is situated on a high forest hill on the banks of the Edersee Lake. The castle was built in the 12th century on the foundation of the ancient castle. Waldeck was the family house of Waldeck family. Today, this is one of the oldest hotel-castles in Germany. The part of the building was rebuilt to be the museum. It’s amazing, but the castle looks like it was many years ago. What is inside the castle? Of course, the hotel is more comfortable than it was long time ago. You live in the stylish room with the beautiful lake view and hills around. There is also a SPA center. Never forget to visit the hotel museum to learn more about its history. You can get there by car from Rome and Florence. Banfi Castle is a real masterpiece. The high stony walls and a small village on the top, plain and country interior styles and high class restaurant with the long list of the tastiest national dishes, the huge territory of elite wineries to produce vintage wines – everything is impressive here. The castle guests are offered to live in one of 14 comfortable suits with the individual design. Of course, you will spend much time outdoors. First of all, try to visit the local wineries and wine vaults. This is your chance to learn the winery secrets and taste the best wine ever. It must be also interesting to watch the process of winemaking according to the oldest recipes. Besides, there is a Glassy and Bottle Museum to be a good addition to the wine atmosphere around. 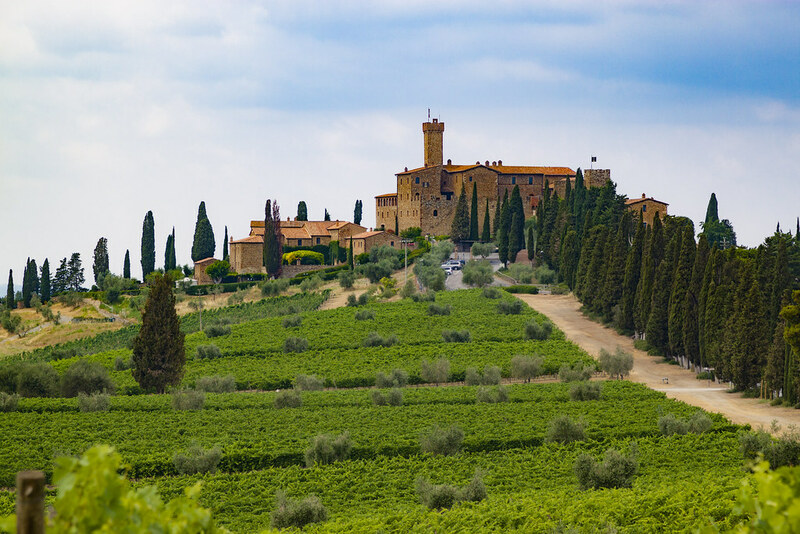 You may also come to the Middle Age city Montalcino – the glorious motherland of Brunello! You can get there by train or hired car from Lisbon. The Obidos Castle looks like a tasty candy. The Middle Age towers of the 12th century castle are spread over the mosaic of the tile roves. You may choose one of 17 original rooms in the castle or next door houses. The rooms are decorated with the bright azulejos combinations and fireplaces. You are offered to try the typical dishes of the Portuguese cuisine in the restaurant. So, it is time to go learn the suburbs. Try to walk over the castle walls, watch the nature view, narrow streets, snow-white houses. Of course, you should find some time to admire the beauty of the ocean which is 10 kilometers far. 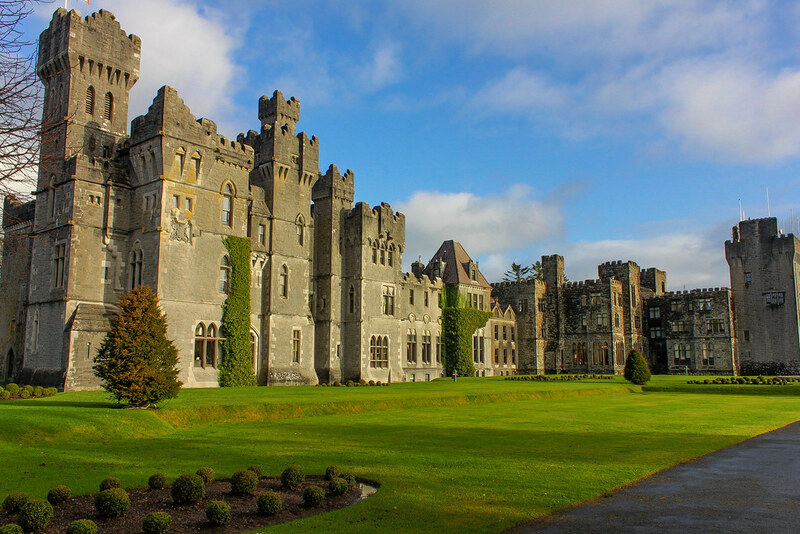 You should hire a car in Dublin and get to the Ashford Castle. This is the most impressive place in your travelling plan. It is situated on a bank of the lake. The interiors of the castle are decorated to keep the best Irish traditions: wooden furniture, massive lamps and portraits in the golden frames. It is never boring here. You can investigate the quiet garden or go riding. How about spending time in the SPA-complex? If the weather is good, you may go boating or hunting. You can also spend the whole day in the castle, visiting a small cinema or have a romantic dinner in the hotel restaurant. You can get there by car or train from London. You may also use hotel transfer to get to the huge hotel parking. Welcome to the nature labyrinth with the exotic birds, two elegant restaurants and democratic cafe, souvenir shops, museums and ancient castle. It is located on an island in the middle of the lake! It looks like it growth out of the water. 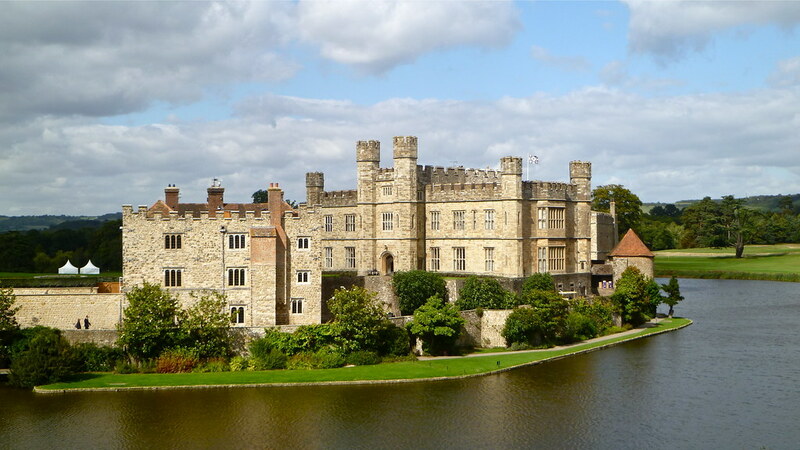 You can learn history from the castle interiors, rich collection of the vintage furniture, ceramics, pictures. The worthy end of your excursion is hawking or arching. Never forget about the old tradition of Five o’clock tea! You can spend your day in the park, on the seaside or castle turret. You can choose what you like the most. You can get there by car from the nearest Lion. This is real fairy in the most beautiful region of France. The cozy hotel-castle is located among the deep valleys and forests to be the best place to spend in nature. You have everything to spend your time comfortably. The guests are offered to live in the cozy mansard or traditional rooms in the castle, country style suits or separate chalet with the castle view. The interiors are amazing: antique furniture, huge mirrors, vintage lamps and tapestry. You can feel the ancient history here! You can touch it by visiting two Middle-Aged villages that are located close to the castle. You can also taste the local home-made cheese, wines and spend your evening in the colorful hotel restaurant. By the way, the restaurant has got the Michelin star as award. It is really joyful to spend time here.